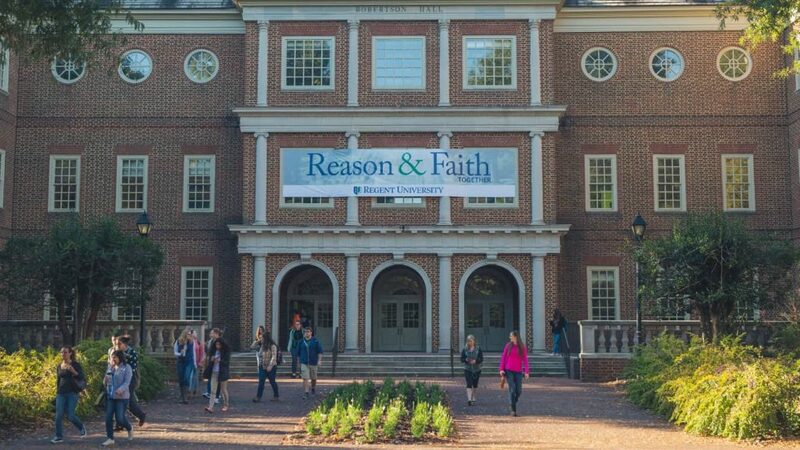 On Tuesday, May 15, several Regent University faculty members were recognized for extraordinary achievement with the Spring 2018 Faculty Excellence Awards in three areas: teaching, service and scholarship. Honored as the recipient of the 2018 Faculty Excellence Award in the area of scholarship was School of Communication & the Arts professor Dr. Stephen Perry. Moreno-Riaño also noted his chapter contribution to a book titled Studies of Communication in the 2016 Presidential Campaign, and his authorship of several books. School of Psychology & Counseling associate professor Dr. Eric Jones received the 2018 Faculty Excellence Award in the area of teaching. Moreno-Riaño said that he’s quick to adapt his teaching style to individual student needs, and he routinely receives very positive student evaluation marks, many of whom claim he’s “one of the best” professors they’ve had. “Students praise him with the following words: ‘Great teacher, very enthusiastic and always ready to teach;’ and ‘he arrives to class every day with a smile; you can tell he really cares about his students,’” said Moreno-Riaño. School of Law professor Jeffrey Brauch was awarded the 2018 Faculty Excellence Award in the area of service. In addition to his role as the chair of the university’s Quality Enhancement Plan for the 2019 SACSCOC accreditation review, he also serves as the Executive Director of the Center for Global Justice, Human Rights, and the Rule of Law.